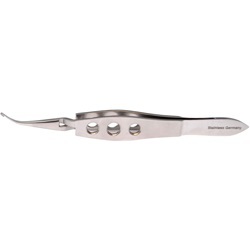 Curved shafts, serrated paddles for cracking nucleus through 3mm incision. Flat, 3-hole, cross-action handle. Overall length: 108mm.